Saturday, May 12, 2018 at 10AM. Ector County Coliseum. Attention: Please arrive early for seating in the main coliseum building. Due to the record number of graduates, seating in the Ector County Coliseum will be on a first-come, first-served basis. Saving seats will not be permitted. Can't make it to Graduation? 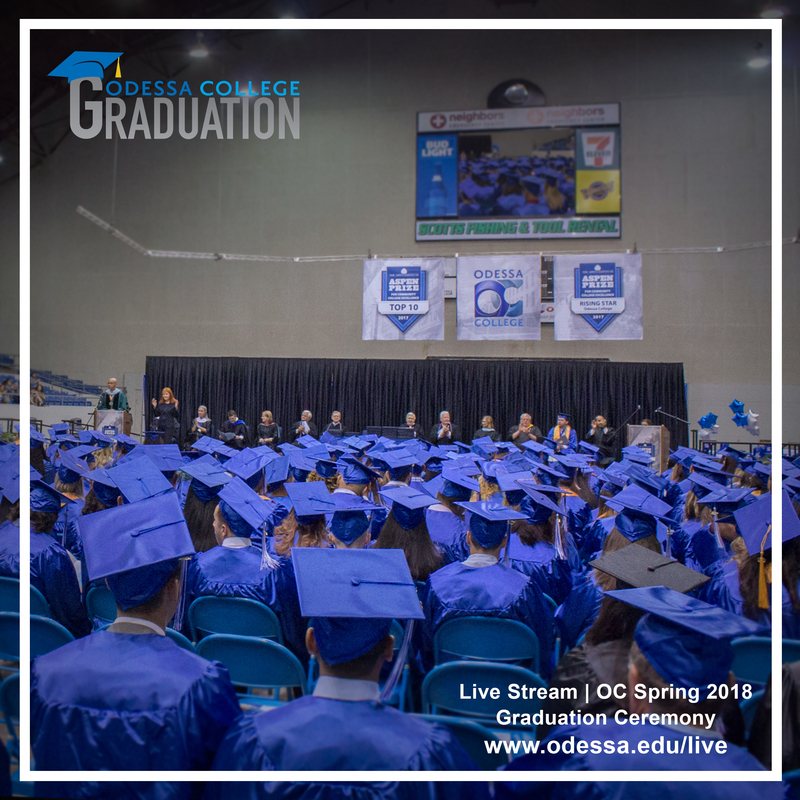 Watch the OC Spring 2018 Graduation via Live-Stream at www.odessa.edu/live on Saturday, May 12, 2018 beginning at 10AM! 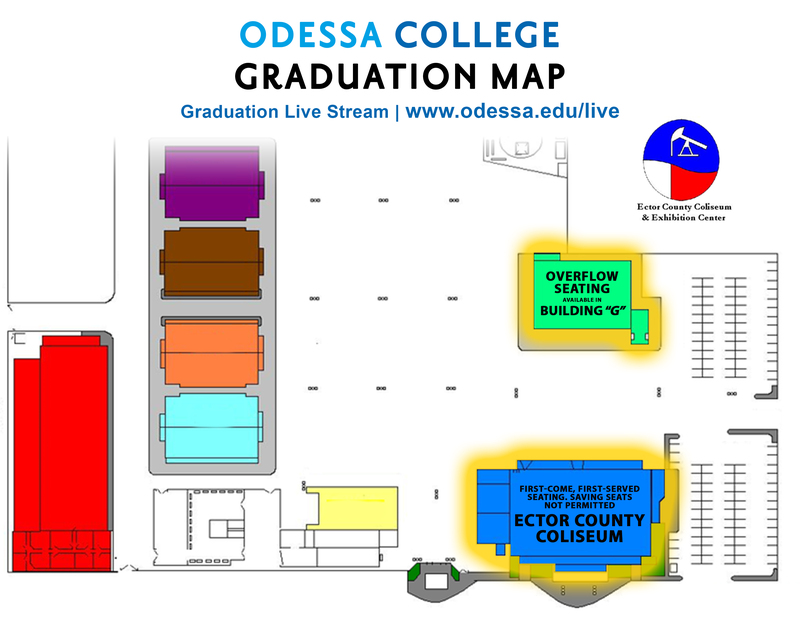 Click HERE for Odessa College Graduation Map detailing venue and overflow seating.